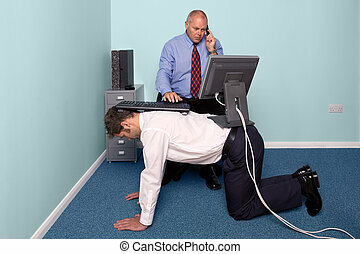 Concept for office slaves. 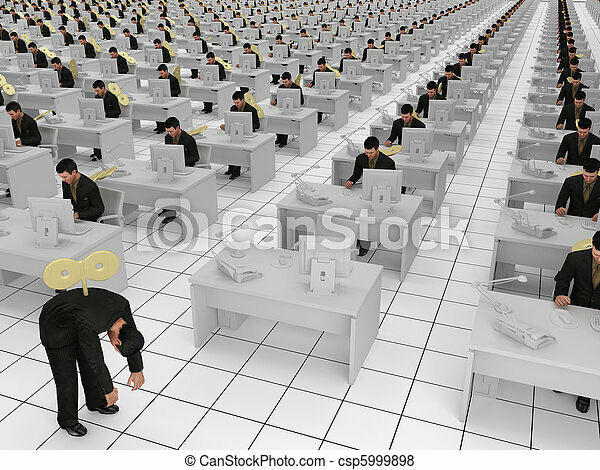 Conceptual image showing a grid of dummy workers doing office work. 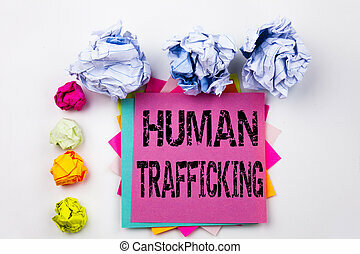 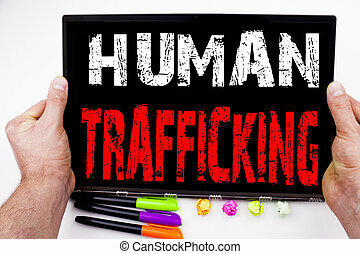 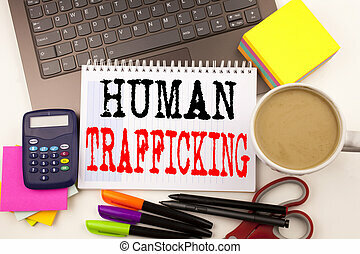 Writing text showing Human Trafficking written on sticky note in office with screw paper balls. 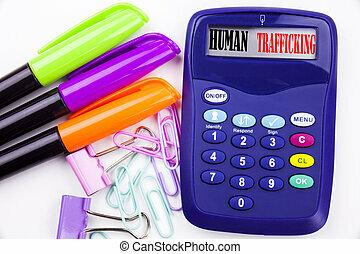 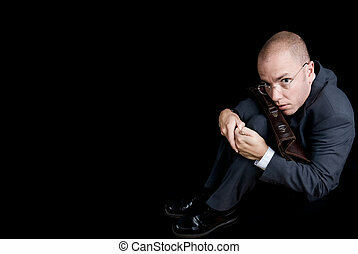 Business concept for Slavery Crime Prevention on the isolated background.